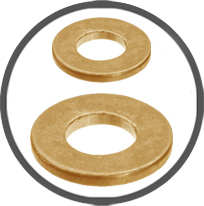 We offer Brass DIN 126 Washers in Copper Brass Stainless Steel and Aluminium for various fastening applications. 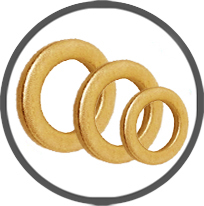 Our fast and imported Italian power presses churn out millions of Copper Washers to DIn 126 and DIN 126 Brass Washers. 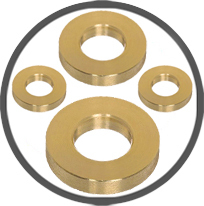 Our range of DIN 126 Brass Flat washers plain washers and machined washers is exported around the globe to 21 countries. Copyright 2017 © Brass Parts India. All Rights Reserved.